Thoughts on theology, travel, triathlons, and now toddlers. Last year Rex Dayao was the program director for KKFI and led us through the majority of our stay here in Manila. When we arrived this year, we learned he recently started a new job, shifting from non-profit to the business world. However, he’s staying on as a consultant for KKFI and promised that he would join us for dinners this week. It is so good to be in his presence again. He is the most positive, resilient, and joyful person I have ever met. He claims that all Filipinos are optimistic, but his enthusiasm is off the charts. 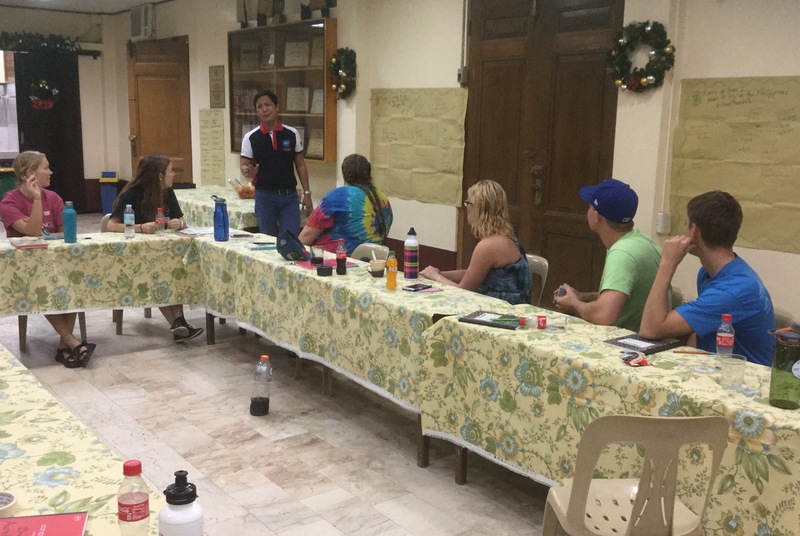 Rex led our students through an orientation with an introduction to Filipino culture, KKFI’s programs, and what our schedule would look like for the week. Then he shared with us the story of how Project Slipper was born, remembering back to when he was eight years old, second oldest of 12 children. These were slippers she had fished out of the ocean the day before. With twelve children, she could not afford to buy flip flops for all her kids. After mending the slippers, Rex, his brother, and his mother headed out to collect oysters and algae to sell at the oyster farm. Mom paddled the boat while Rex’s job was go scoop out water flooding in through the boat’s many holes to keep it from sinking. Once the boat was full of oysters, Rex headed off to school. “Teacher Evelyn was checking attendance when I arrived, then she narrated a story of Dr. Jose Rizal (national Filipino hero) when he was young. In 2014, Rex’s mother died. In order to create a legacy out of her life, Project Slipper: Soles for Souls was born. Donations are collected and slippers are purchased for kids in the community who may be in a similar situation as Rex during childhood. For just $0.88 a pair, each child receives a brand new pair of flip flops in the color of their choice. 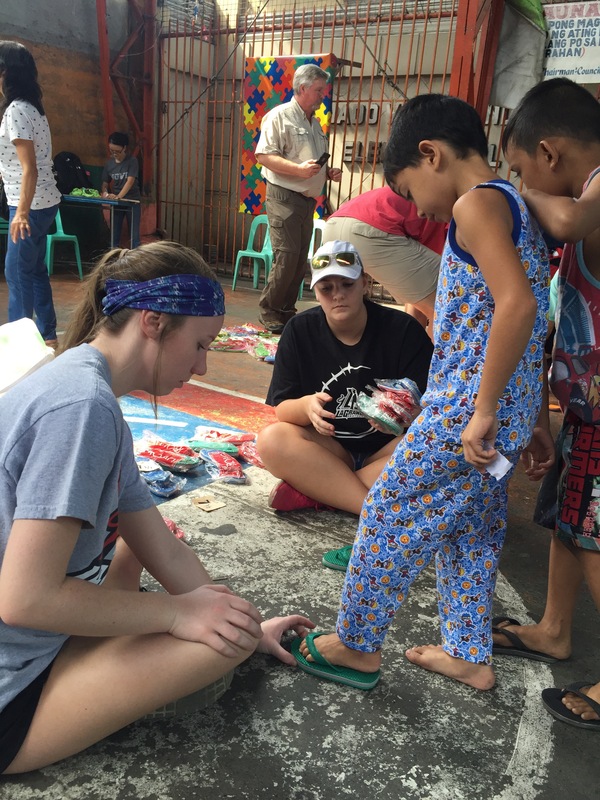 Our LaGrange/North GA team spent time in two different communities personally fitting 500 pairs of slippers to waiting children. The beautiful story of love, sacrifice, and selflessness that were first taught by Jose Rizal and especially his mother, lives on in Rex as he leads by example and makes it possible for others to receive not only what he never had…a brand new pair of properly fitting slippers, but also to receive what he experienced in abundance…unconditional love.